Through a variety of programs, RLS is able to help children develop mentally, socially and emotionally. RLS art programs empower children and foster their sense of self through exploration of the artistic process. 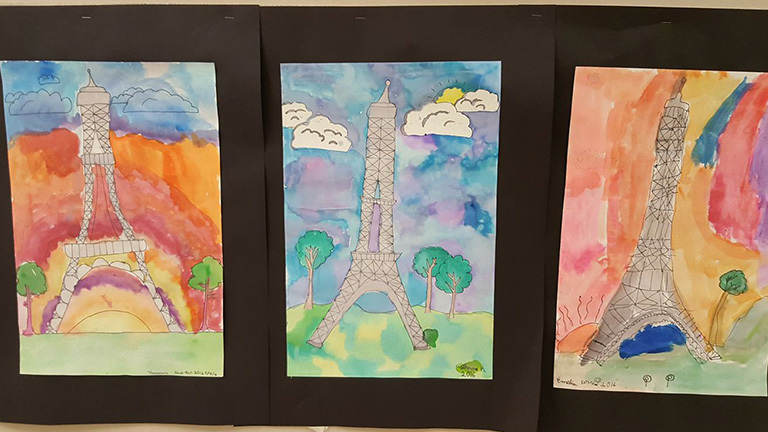 Art programs have been proven to boost academic success and self-esteem, foster brain development, fine tune motor skills and decision making, encourage inventiveness, introduce cultural awareness and build community. 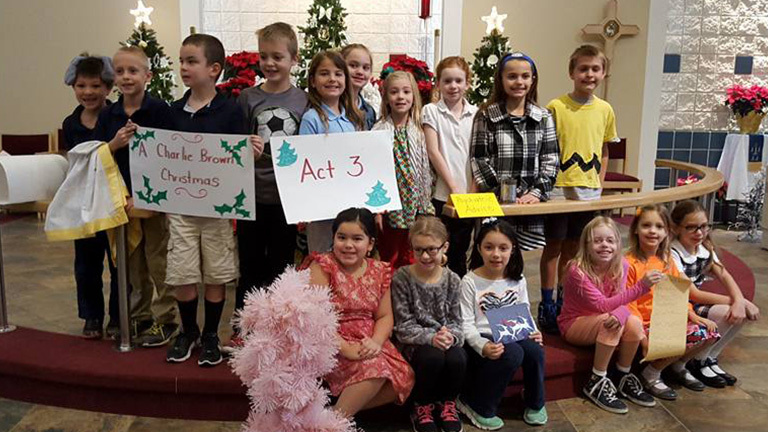 Through art and drama RLS students learn to view the world as a place filled with possibilities, one where they can shape and express their own vision. One of the vital activities that allows our students the opportunity to serve others is through performances during the school year. 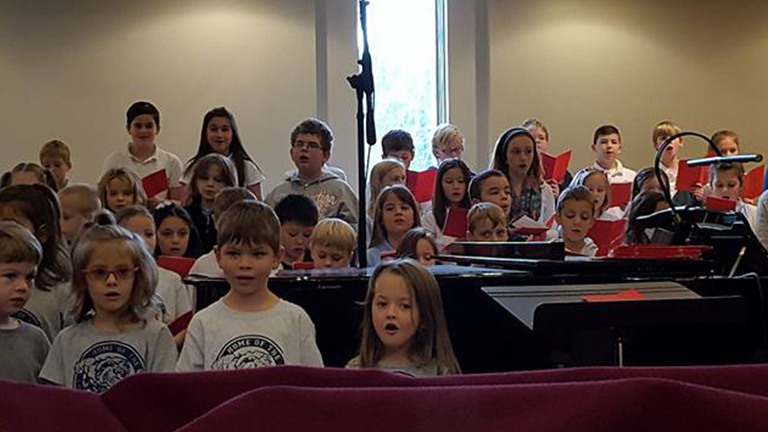 Children choirs, school programs, and band opportunities are available for students of all ages. Students involved in the choir are encouraged to share their gifts at two RLC worship services each year as singing in worship has a tremendous, positive impact on the congregation. Additionally, elementary age children participate in two musical performances annually. Private music lessons are available through Resurrection Lutheran Church Music School. Please contact Bob Unger, Music Director at 919-851-7271, ext. 25 or [email protected] for information regarding this wonderful opportunity. Children love to express themselves creatively! At RLS, we embrace and support the natural curiosity of every child through our visual arts programming. 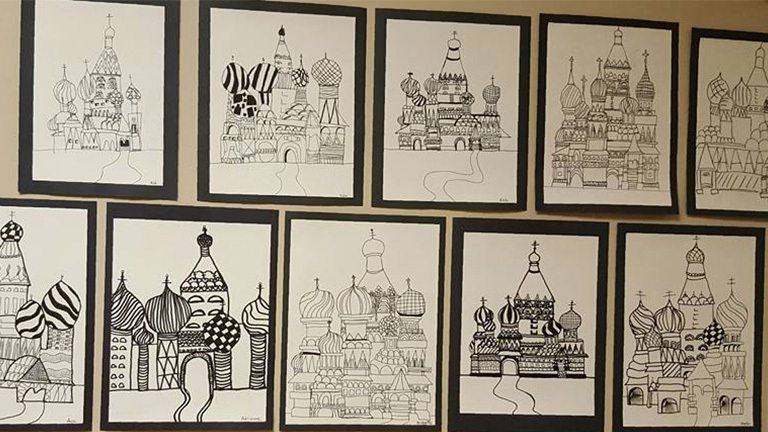 Art is integrated into the core curriculum and offered a “special”/elective for students in kindergarten – eighth grade. Additionally, extra-curricular opportunities, including an Art Club, are available throughout the school year. “Cultural Arts programs and services help inspire our children and community to succeed.” We work closely with the United Arts Counsel to arrange a variety of assemblies throughout the school year that enhance and enrich the curriculum. Drama is an important means of stimulating creativity and can challenge students’ perceptions about their world. Dramatic exploration allows students to explore their emotions, thoughts, and dreams by stepping into character! But mostly, it’s just plain FUN! To learn more contact [email protected].